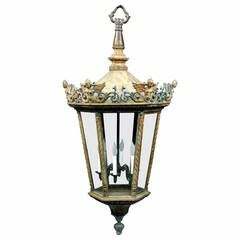 Sorry, Pair of Continental 19th Century Street Lanterns is not currently available. 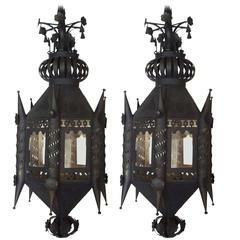 Pair of late 19th and early 20th century continental iron lanterns. 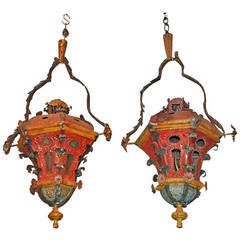 Pair of painted tole lanterns. 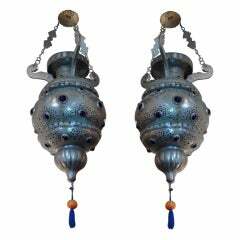 Pair of 19th century pierced Moroccan lanterns with azure blue glass beads. 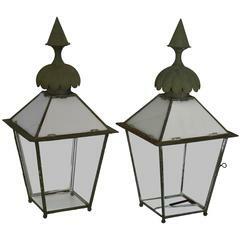 Pair of 19th century American copper candle lanterns with a three glass sides, a door on the front, and a vent at the top to allow the heat to escape.